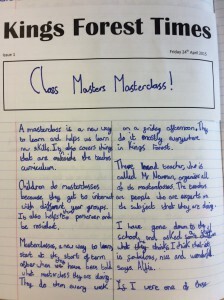 In year 4, we have been completing a ‘Big Write’ each Friday morning. 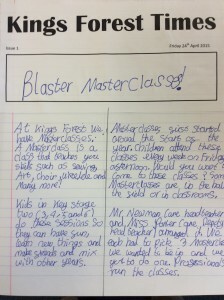 This is a chance for the children to write at length after a 45 minute planning session. 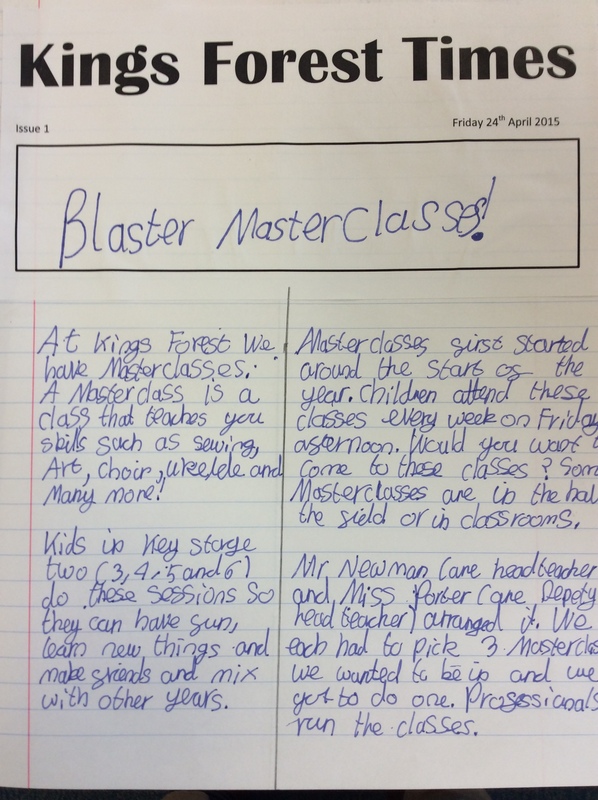 We have written persuasive letters, stories set in other cultures and diary entries to name a few. 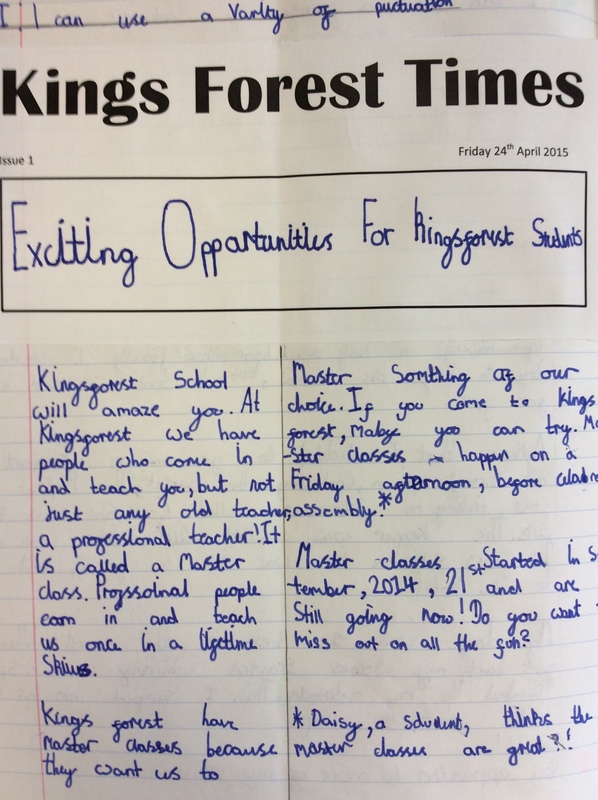 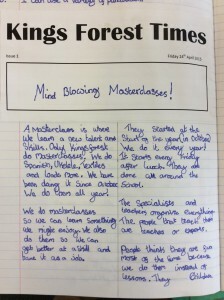 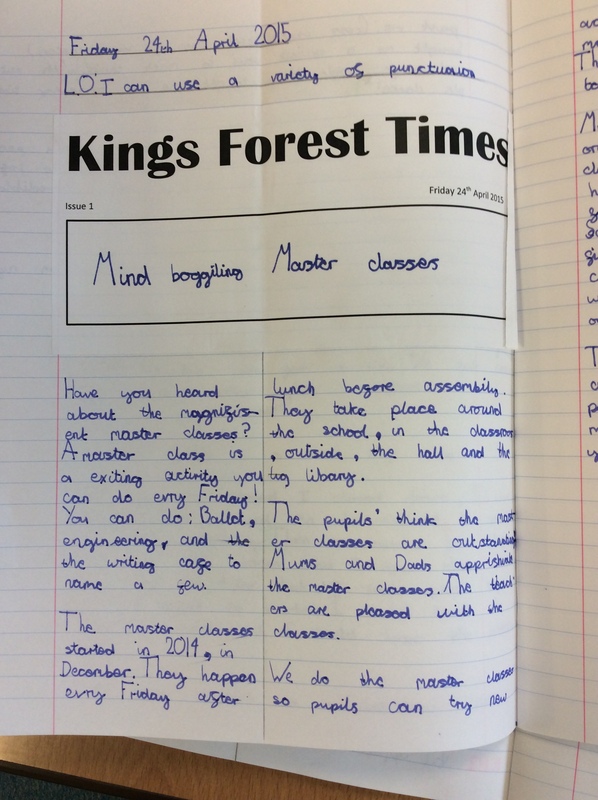 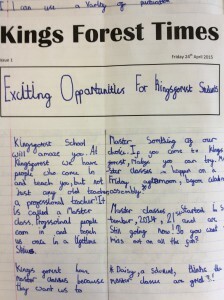 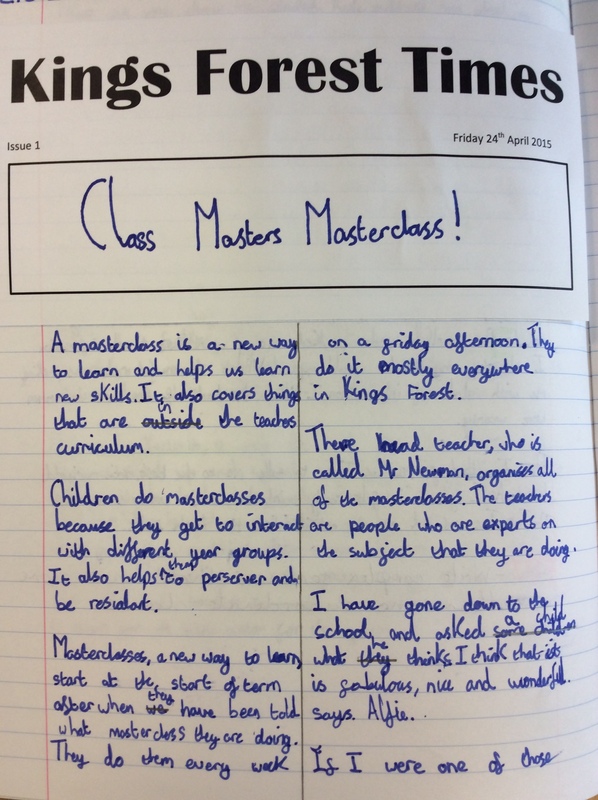 In our Big Write this week, we wrote a newspaper report about master classes at Kings Forest School. 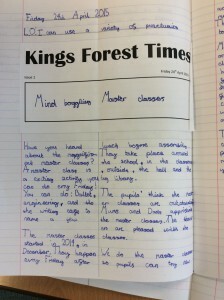 The children came up with some great headlines and wrote some excellent articles! 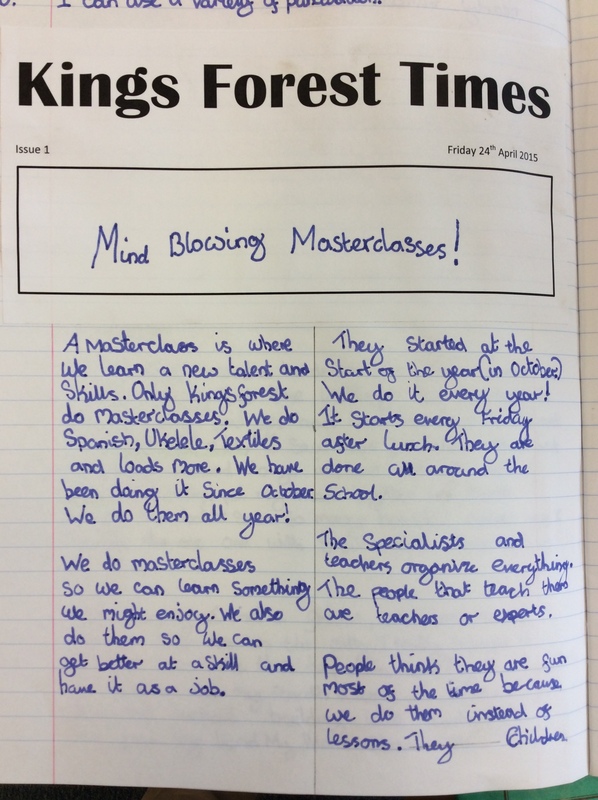 We would like to take this opportunity to show you some great examples of their work so that you can see how your hard work at home is paying off in school. 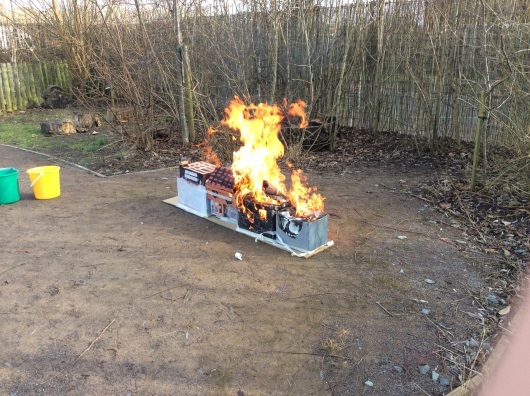 Before Easter, year 2 enjoyed seeing off their ‘Great Fire of London’ topic by setting fire to their Tudor houses in school! 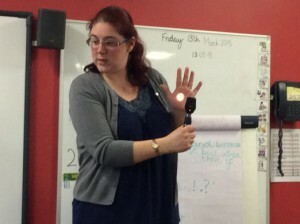 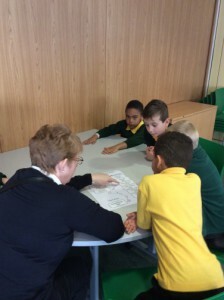 They were also visited by an optician during their ‘Let There Be Light’ topic, who taught them how our eyes help us to see, and what an optician does in their job. 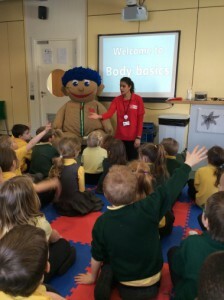 @Bristol was great fun! 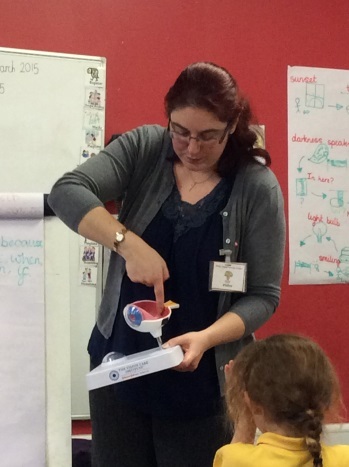 Year 2 took part in a Body Basics workshop, which taught them all about the senses and how our bodies work. 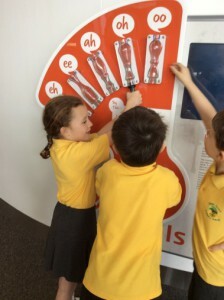 They also enjoyed exploring the many interactive resources.